The placenta, which is an organ that supplies blood from the mother to the baby, may be found low in the uterus in early weeks of pregnancy. “This should not be a concern as the placenta usually moves up as the uterus grows in size “ explains Dr Priti Arora Dhamija. If the placenta is seen to be in the lower part of the uterus in the third trimester, then the situation is known as ‘Placenta Previa’. According to the Royal College of Obstetricians and Gynecologists (RCOG), 90% of women do not go on to have placenta previa if their 20 week scan shows a low lying placenta. If you have a low lying placenta in your 18 to 20 week scan you will be advised another ultrasound at around 32 weeks to assess the position of the placenta in the third trimester. “Most mothers have no symptoms with Placenta Previa. A few may have painless bleeding. This may require you to be on bed rest “ says Dr Priti. “You must contact the hospital right away in case you experience any bleeding, contractions or pain” cautions Dr Priti. 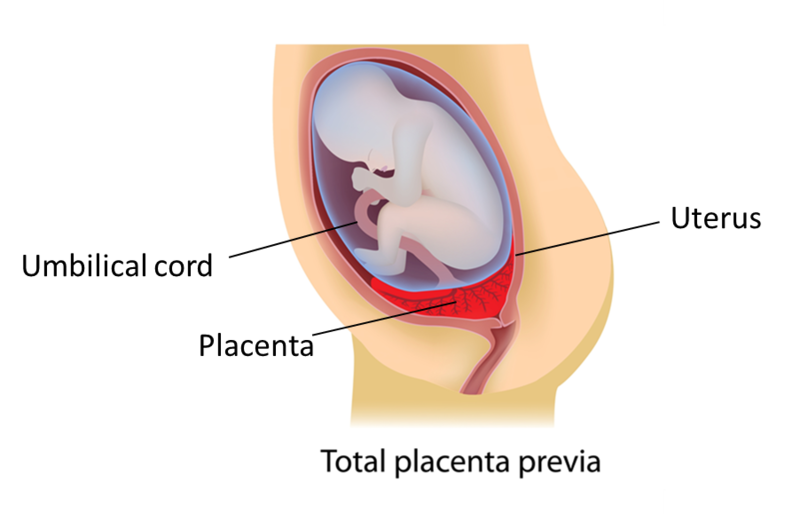 If the placenta is covering the mouth of the uterus ( the cervix) from where the baby is delivered, the condition is called total placenta previa. In this case, a c section will be required. “Most of all, stay positive. Don’t let worry cloud your mind and discourage yourself from enjoying your pregnancy” Dr Priti advises. This blog has been written with editorial inputs from Dr. Priti Arora Dhamija. She is an experienced Obstetrician-Gynecologist who is known among her patients for being a patient listener!